On our first night in Denver, we decided to enjoy a nice dinner out and Rioja was our choice. It was incredible. 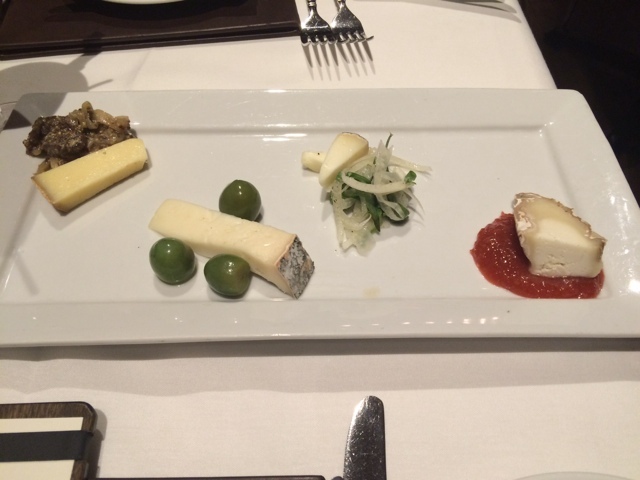 Next, we had appetizer pastas. 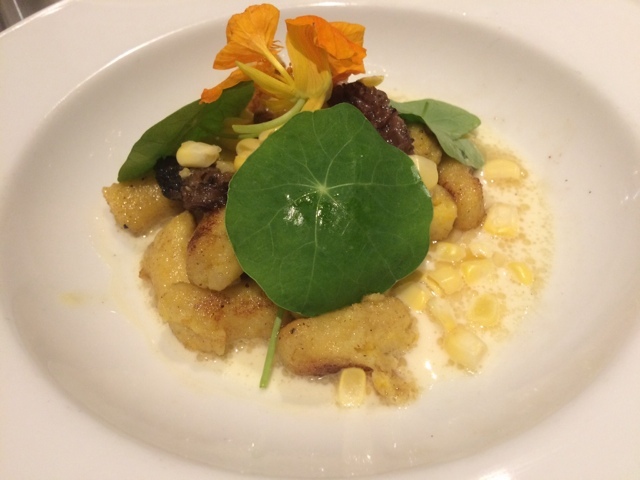 Austin got sweet corn gnocchi with roasted porcini mushrooms, nasturtium, and crescenza nage. It was very tasty but we agreed my pasta was out of this world. 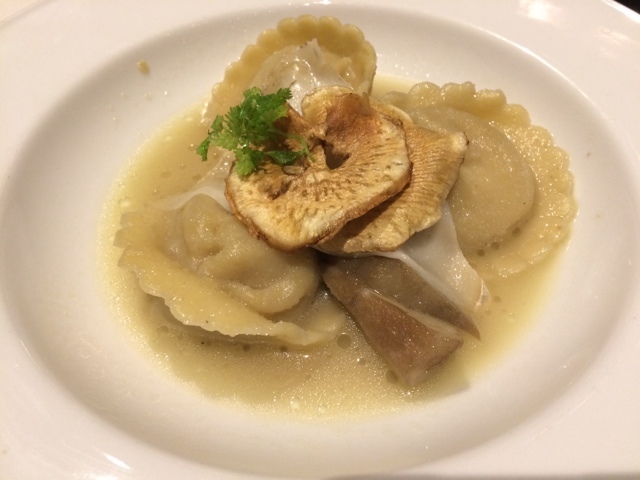 My artichoke tortelloni with artichoke mousse, white truffle brodo, queso de mano, and chervil. Simply amazing. Then the entrees. 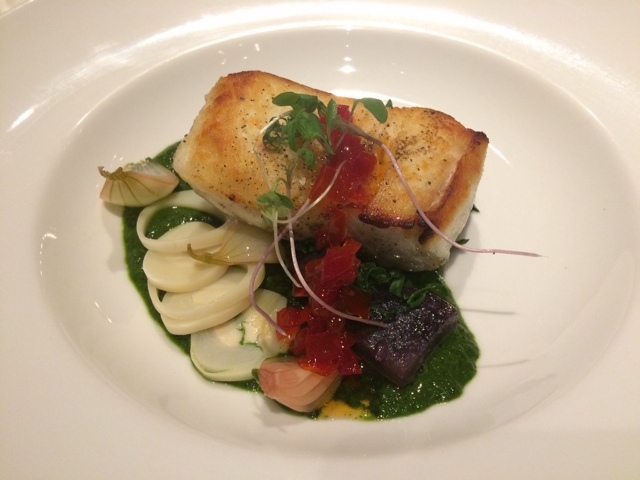 Austin had Alaskan halibut with hearts of palm, purple Peruvian potatoes, kale salsa verse, and red pepper jam. Delicious. 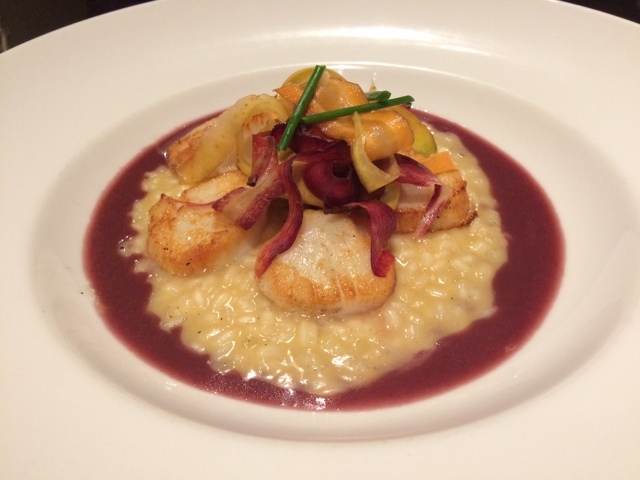 I got the special, seared scallops on goat cheese risotto over beurre rouge topped with a carrot salad. Incredible. We couldn't turn down dessert. 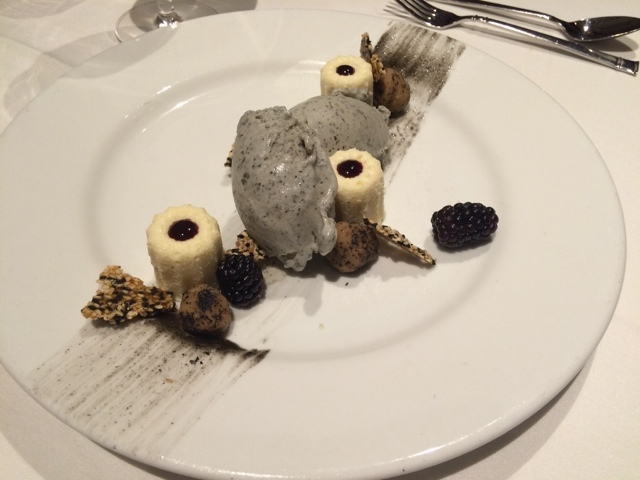 White and black cheesecake: blackberry filled cheesecake, toasted black sesame ice cream, blackberry coulis, sesame nougatine, and black sesame paint. A sweet end to the meal.